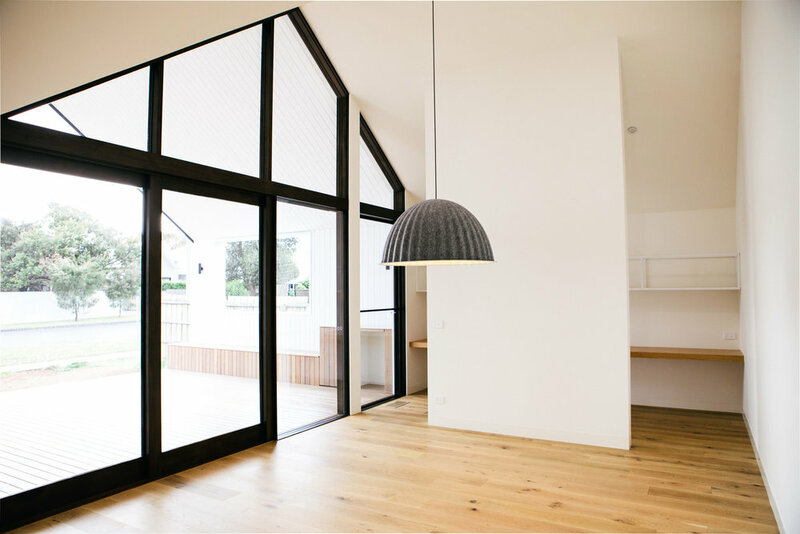 Here are some images of the newly-completed Scandi House designed by Auhaus Architecture for Lifespaces Group. Located in a seaside town, this wide, welcoming home is ideal for beachside living. It is an artful blend of Scandinavian geometric forms and the wide outdoors. It features a roofline with dual gables to complement the house’s expansive footprint. It’s boldly simple - a focussed, deliberate and unique design. 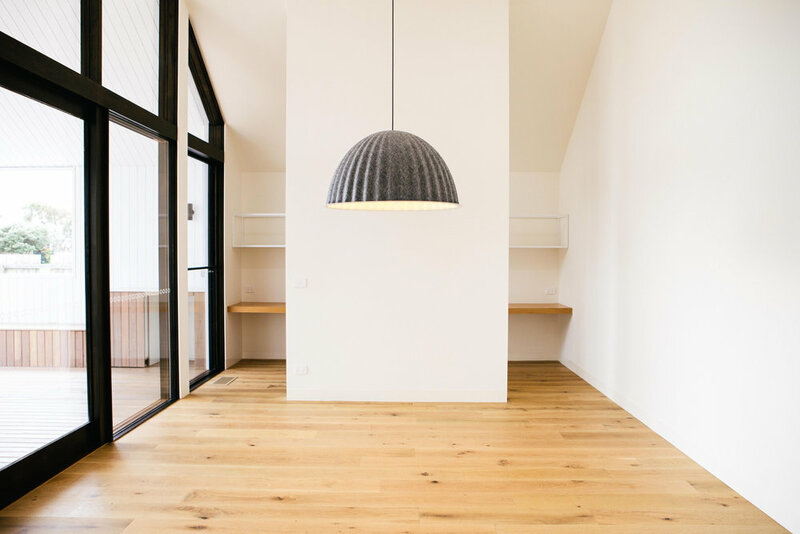 Daylight and the natural environment are integral elements of the house's design. The private entry courtyard is coupled with another garden courtyard that runs the length of the main hallway, drawing in light and immersing the house in green. 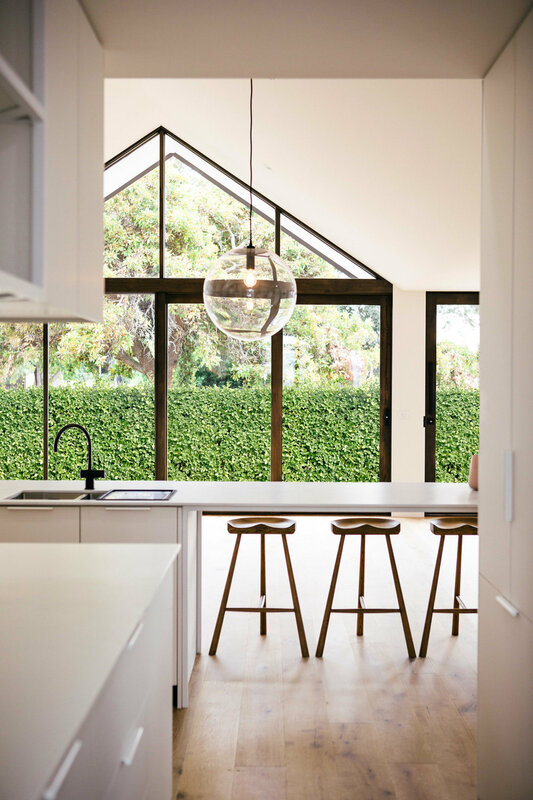 The Scandi House features soaring cathedral ceilings through the main living areas combined with a fully glazed rear facade to create spaces awash with natural light. 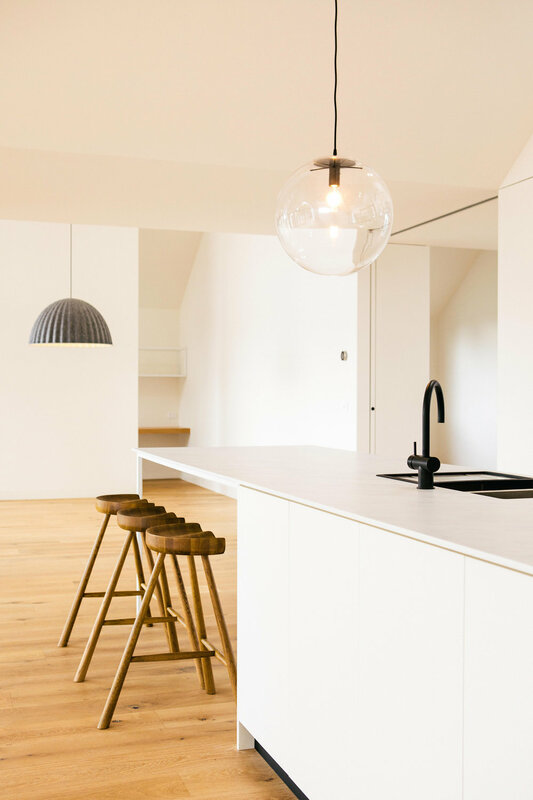 The subtle material palette of whitewashed oak, white and pale silver offers a sense of peace and calm. Two separate living areas complement the outdoor decking area, providing multiple spaces to gather or find respite. Thank you! Please check your inbox for your confirmation email. If you have any issues please call us directly on 1300 900 880. 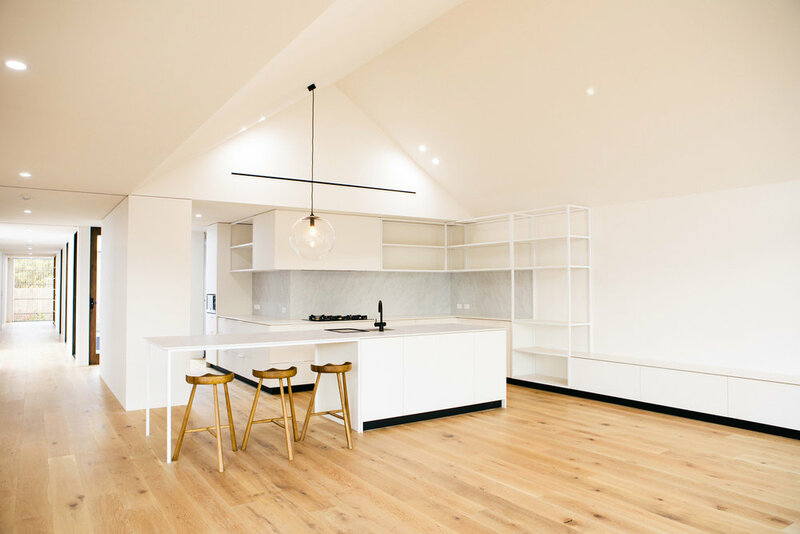 Lifespaces Group commissions leading Australian architects to design a signature series of limited-edition, luxury homes. Each series is distinct and varied - a true reflection of the architect's design ethos. Each home is then crafted exactly as envisioned. To maintain exclusivity, only 10 homes of each design may ever be built. 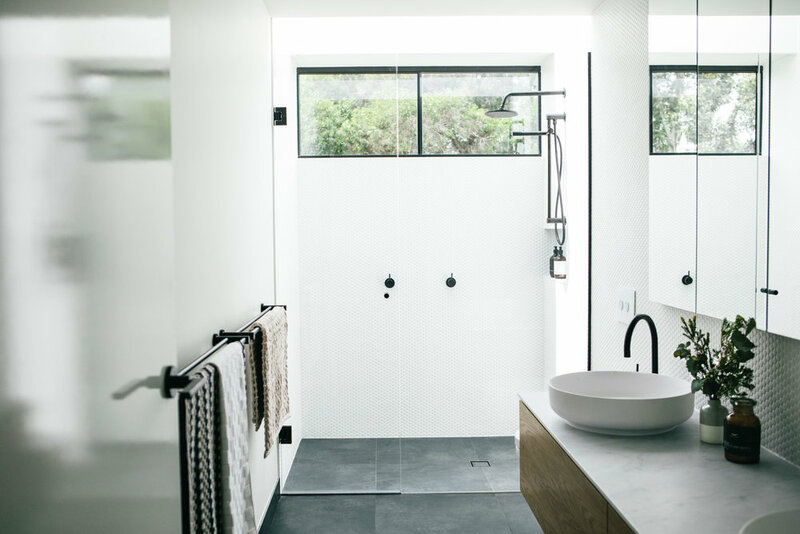 Premium building techniques, modern finishes and quality fittings are integral to each project. The first series - the Auhaus Release - features five designs (three single storey, and two double storey), and has been incredibly well-received.